Explore Hawaii`s Big Island, and sense the power of volcano goddess Pele as she creates new land over old. See new vegetation growing in seemingly impossible pockets — micro views of natural cycles that civilization obscures elsewhere. Molten lava flows glowing in the dark night are a spectacular sight — destruction and creation on a grand scale. Molten lava is the Big Island`s hottest attraction, but you can also explore the cool depths of a sunstruck ocean; see local sights on foot or horseback; uncover art treasures in tiny plantation towns, play top-flight golf on internationally-renown courses; walk the paths ancient Hawaiians traveled; have a cup of Kona coffee at the source; visit cattle country, home of the paniolo Hawaiian cowboys. 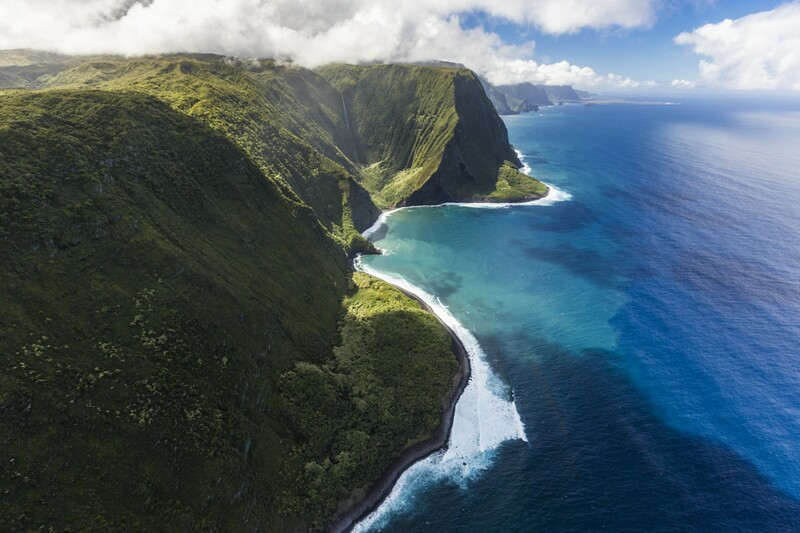 Wherever you go on Hawaii`s Big Island, chances are it`ll be a new experience, even if you`ve been there before! E komo mai, explore to your heart`s content. Everyone is welcome. The ocean playground is waiting for you to explore – in, on, under and over. From easy to extreme, there are worlds of ways to enjoy everything our little corner of the Pacific has to offer. Whale watching is a must, one of the coolest things you´ll ever do. Each year from November to May, humpback whales travel to Pacific waters to give birth and care for their young before the long swim home to Alaska. During that time, you can easily spot them from the shore. Watch for a spout, like a plume of smoke over the ocean. This ´whale exhale´ will hold its shape for a few seconds, unlike a puff of sea spray made by wind. (You might see a big one with a smaller one nearby. That´s a mother and her new baby.) In a few seconds another spout appears in the same general area. Then watch for a big, shiny black tail to rise up and slap the surface. Or the whale might breach entirely, leap out of the water and dive back in with a massive splash.